A prominent Russian investigative journalist was shot dead on Tuesday in Ukraine’s capital, Kiev. 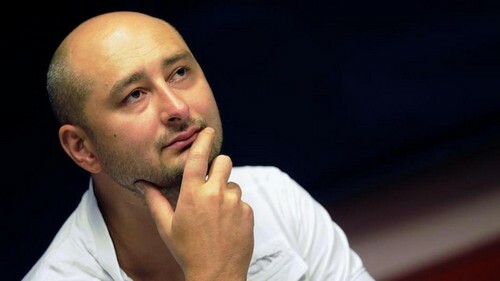 Arkady Babchenko died from his injuries on the way to the hospital after being shot in the back near the entrance to his Kiev apartment, Ukrainian law enforcement said on social media. His wife phoned an ambulance saying she had found Babchenko covered in blood, police said, adding they suspected the murder was due to Babchenko’s professional activities. Babchenko, a Chechen war veteran and a staunch critic of President Vladimir Putin, left Russia out of safety concerns after covering the conflict in Ukraine. His murder follows the earlier death of Ukranian-Belarussian journalist Pavel Sheremet by car bomb in central Kiev in 2016. Russia’s Investigative Committee said in an online statement late on Tuesday that it had launched a murder investigation into Babchenko’s death. “The Investigative Committee will not let these cruel crimes against Russian citizens go unnoticed,” the statement said.